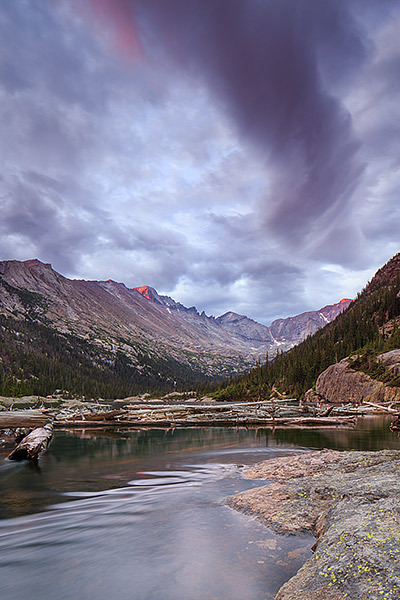 An ominous looking sky appears over Longs Peak and Mills Lake on summer morning. A storm is rolling into Rocky Mountain National Park and sunlight graced Longs Peak, the parks highest for only a few minutes before ducking back into the cover of the storm clouds. Photo © copyright by Thomas Mangan.